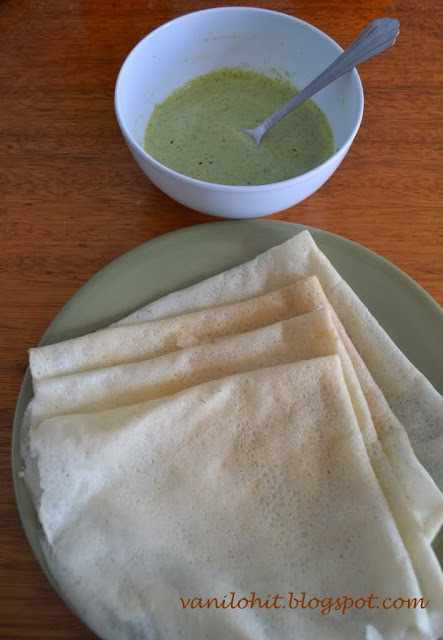 ಕನ್ನಡದಲ್ಲಿ ಓದಲು ಇಲ್ಲಿ ಕ್ಲಿಕ್ ಮಾಡಿ. 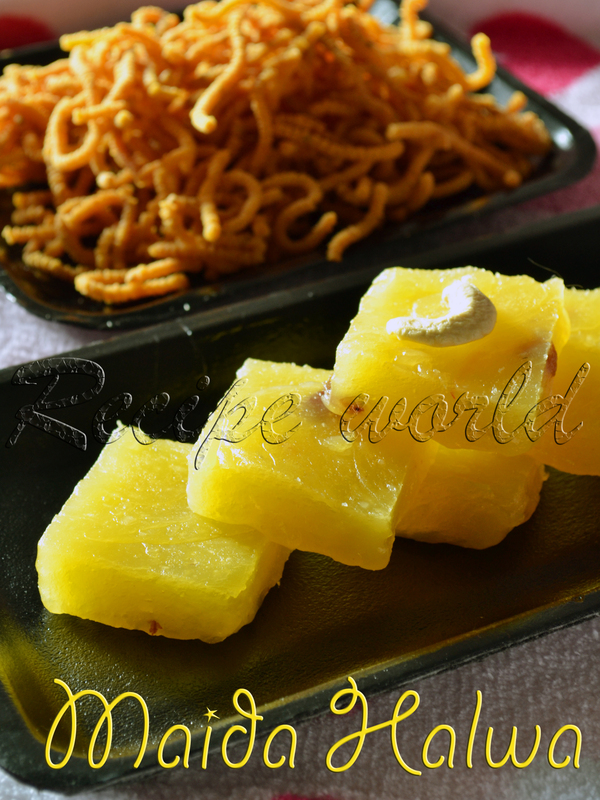 Maida Halwa is one of the sweet delicacies from India which is perfect for festivals and such occasions. It tastes very similar to Wheat Halwa which will be prepared at my Mom's place for every Diwali. Preparing Wheat Halwa is bit difficult as well as time consuming task. Whole wheat need to be soaked for 2 days in water, then need to be cleaned and ground into fine paste, later it needs filtering..keep stirring the batter on the stove top for at-least an hour..uff! such a lengthy and stressful job it is. 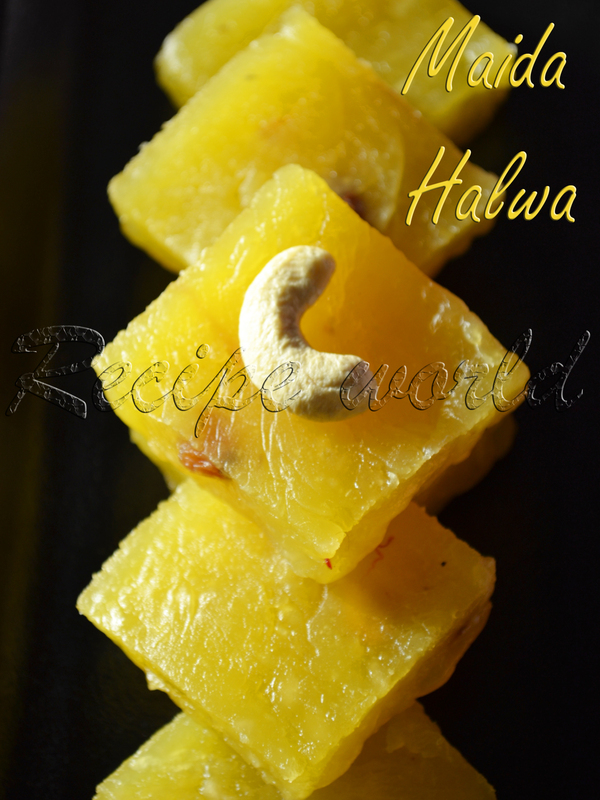 We were really happy to find a substitute for lengthy procedure of preparing the Wheat Halwa. 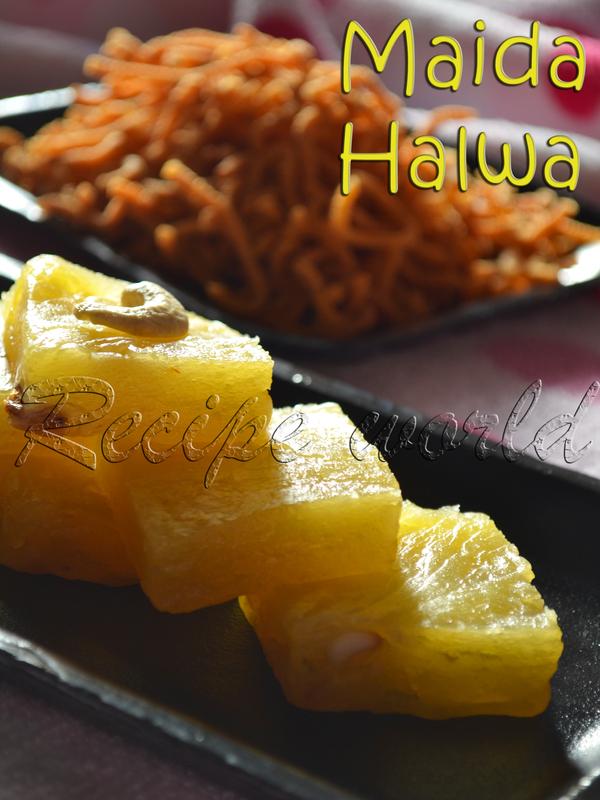 My sister was going through a recipe collection sometime back and she found this Maida Halwa recipe interesting. We all loved this Maida Halwa which tasted the same as Wheat Halwa. 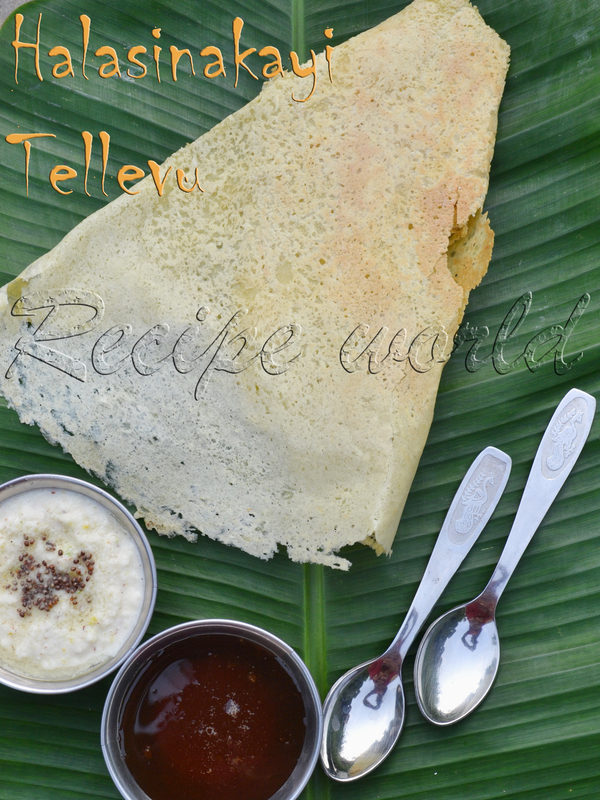 Then onwards, this recipe has become very popular in our family circle. This year, Maida Halwa was one of my special preparations for the Diwali festival. We enjoyed the festival of lights with all the sweet and savory preparations at home. Preparing this Halwa is bit stressful, but you feel really its worth preparing when you taste it! Soak the saffron strands in 2 tbsp of hot water. 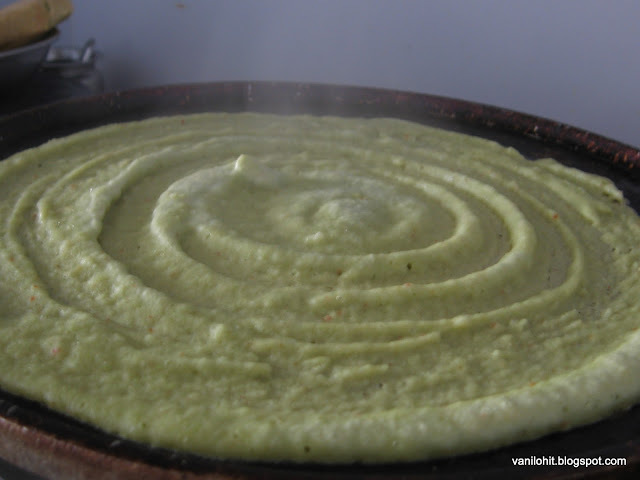 Take maida in a mixing bowl, add around 1 1/4 cup of water gradually. Prepare the batter without any lumps. 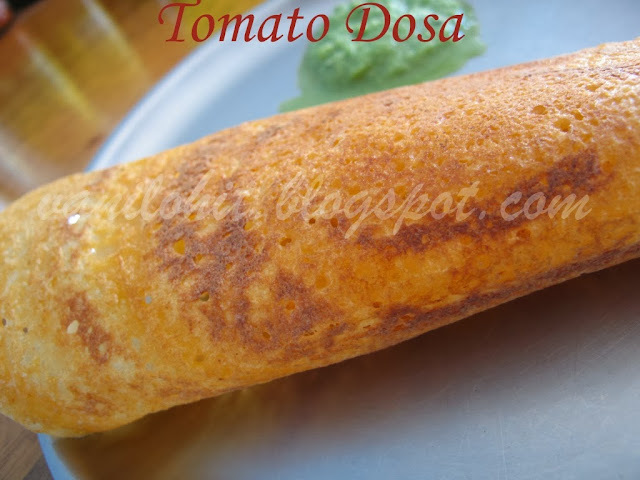 Consistency of the batter is the same as dosa batter. Roast the cashew pieces and raisins in ghee and keep aside. Take a heavy bottom pan, pour the sugar and add 1/2 cup of water. Bring it to boil. 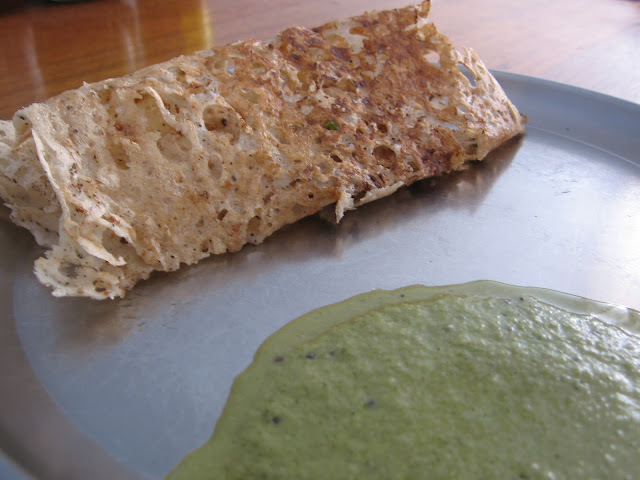 Once the syrup reaches 2 string consistency, add the maida batter and keep stirring continuously for 2 minutes. Add the saffron strands (and also the water), pinch of salt and ghee and stir it continuously on low or medium flame. When the mixture thickens, you feel it really hard to stir the mixture well. Once the mixture starts leaving the edges, take a spoon full of mixture out and make it cool. If you are able to form a ball and its not sticking to the hands, thats the right consistency. Stir in the roasted cashews and raisins and mix it well. Spread the mixture on a greased plate (or plates) evenly and allow to cool. Cut it into desired shapes once its cool. That's all, delicious Maida Halwa is ready to enjoy! 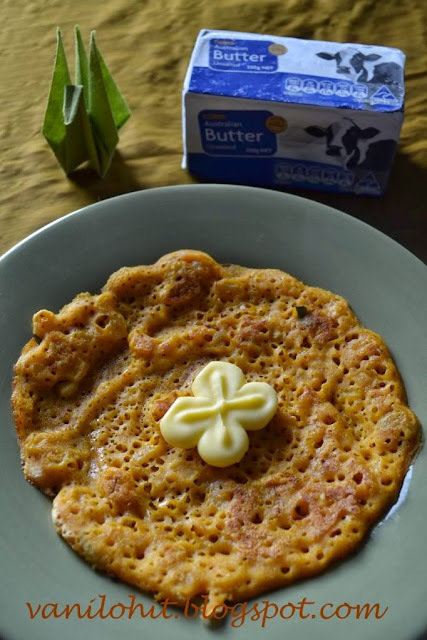 I have used 1/2 cup of ghee here. Little more ghee can be added if you would like to. Adding more ghee will make it even more delicious. As far as possible, try to consume it fresh. It will be good for 3 - 4 days if kept outside. If kept in refrigerator, taste of Halwa will change a bit. Looks perfect! I have never tried making halwa with maida. 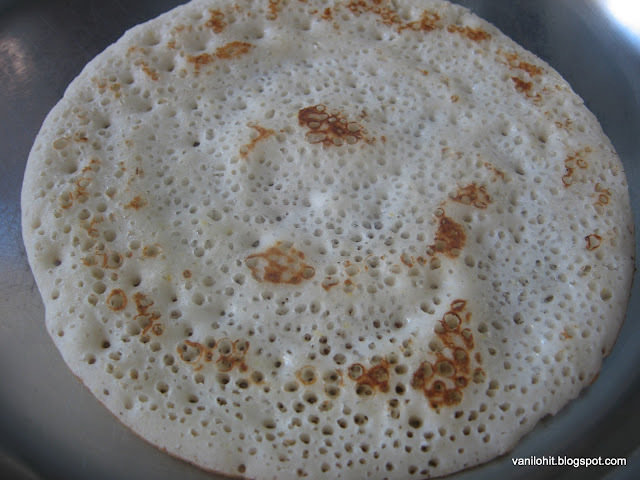 Rice Kesaribath / ಅನ್ನದ ಕೇಸರಿಬಾತ್ - For Blog Anniversary! 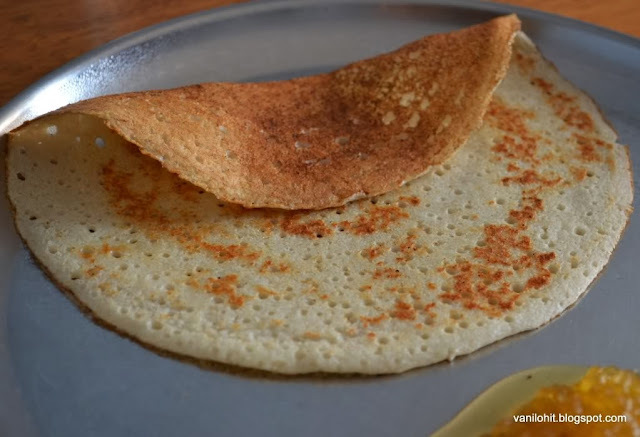 Vade / ವಡೆ - Ganesh Chaturthi Special!